Stephen Ralph Heath Sr., passed away June 26, 2016, at home with his loving family surrounding him in St. George, Utah. He was born December 27, 1952, in St. George, Washington, Utah to Vird J and Jean Nelson Heath. Stephen met the love of his life, Florence EllaLouise Griffith, in the Denver LDS 1st Ward in Denver, Colorado. He went to Denver Automotive and Diesel College. He moved back to St. George with his future wife. They married in the St. George Temple for all eternity on February 23, 1974. Stephen is survived by his wife of 42 years; five children: Marie Louise, Richard Jay (Christie), Christopher Scott (Ranae), Jennifer Lee (Steve) Oliphant, Stephen Ralph, Jr.; two brothers: Theron Nelson and Richard Allen (Kenda); eight grandchildren: Christa, Angel and Zelda Heath, Alexander, Abigail and Zoe Oliphant, Walter and Levi Heath. 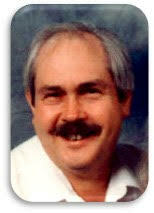 He was preceded in death by his mother, sister, Sharon Kay, and granddaughter, Jazmine Marie Oliphant. Funeral Services will be held Thursday, June 30, 2016, at Metcalf Mortuary, 288 W. St. George Blvd, St. George, Utah. A visitation will be held prior to services from 10-10:45 a.m. at the mortuary.